The facts are simple: Twitter is one of the best ways to grow your brand awareness and can open the door to a whole new clientele pool for your business. In terms of the biggest social media sites online right now, businesses find that Twitter leads dominate their exposure statistics compared to other sites like Instagram, Facebook, and even LinkedIn. Sure, these sites all have positive benefits and can be used in tandem with Twitter strategies, but the social media site is proven to help bring you more traffic, 140 characters at a time. One of the best things about Twitter exposure is the chain reaction of traffic it creates. Someone finds your tweet, clicks the link it holds and then shares said link with others. In this chain alone you have someone visiting and viewing your social media, giving your website traffic AND potentially generating the same occurrence on their own accounts. This is all relatively easy with Twitter where public accounts can simply have content retweeted and shared with others, only with one or maybe two clicks. It used to be that social media was considered to be nothing more than networking sites for the tween to middle-aged crowd, but companies soon realized the advertising potential it held, and here we are today. This sort of ideology has been due mostly to Twitter’s simplicity: it’s very easy to use and it makes content sharing very idiot-proof, something similar sites have started to lose in recent years. As of the last tally, Twitter has about 300 million active users, and this number is steadily growing every day. If you’re worried about your own traffic potential, don’t: about 92% of all tweet interactions are done through people clicking links in tweets. Twitter ties together a lot of elements necessary in the world of content marketing in 2016, and likely years to come. There’s a very digestible quality with tweeting. Your consumer is likely someone who doesn’t want to spend a lot of time being pulled into a ploy, and 140 characters grabs their attention quickly and easily. Getting creative is part of the beauty of Twitter: you have a very limited frame to work with in order to hook a potential customer. Twitter is also finding more and more add-ons to help popularize it, such as Periscope and Meerkat, two video streaming apps that work with the site. This is another element Twitter brings to the table: visual representation. As easy as Twitter is to use, there are also mistakes that can be made on the social site, though most of them are obvious. Namely, not changing your profile picture, creating stale headlines and tweeting sporadically instead of often. But instead of the don’ts, what about the dos? Hashtags aren’t just laughable new ways for millennials to share silly commentary with each other. No, hashtags can really help boost your traffic stats simply by including a few in your tweet. Hashtags help organize the chaos that is Twitter by grouping like messages together, making your content easy to find in a sea of unrelated content. Hashtags can range from very general (#tech, #love, #business) to extremely specific (#BlackLivesMatter, #LoveWins, #PrayForParis). There are various online resources to help you find successful hashtags, including Hashtags.org and Tagdef.com. People want to share things that are, well, sharable. The easiest way to do this is with an image of some kind. Tweets with attached images get 150% more retweets than their more lackluster counterparts. These images can be infographics, stock images, or quote pictures. If you aren’t convinced, remember that the engagement factor of a tweet can literally go up almost 600% when it has an image. 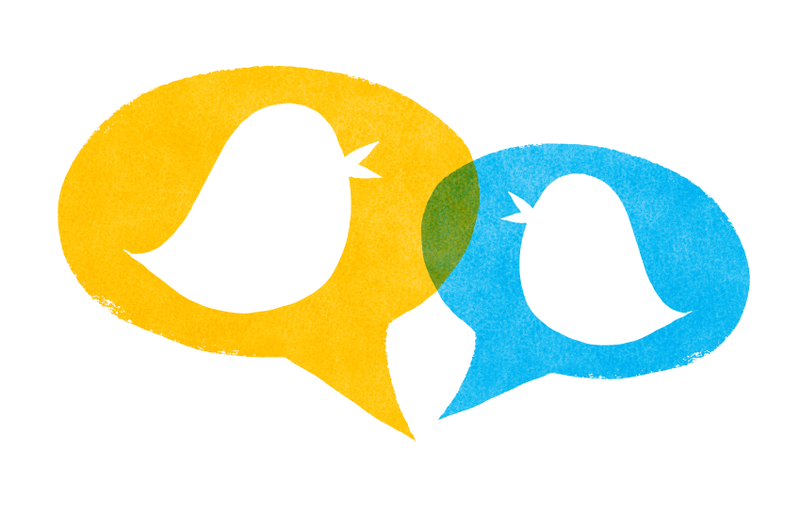 The more you tweet, the more it seems that potential consumers are engaged by your content. Tweeting every 15 minutes shows that consumers are 89% more engaged compared to doing so every 30 instead. There is such a thing as excessive tweeting and users will unfollow spammy accounts, but remember that the social climate of Twitter makes it okay to post often and get rewarded for it. Using mentions on Twitter (aka identifying someone with the @ symbol and their username) is a surefire way to get posts noticed. When you poke people, they respond. Much like in blogging and news print, a headline can sink or swim you. A good headline follows some simple rules: it gives the reader a sort of reward, entices them to click, shows them something they’ve likely never seen before, or tells them something shocking. This is how you get people to click on Twitter links.